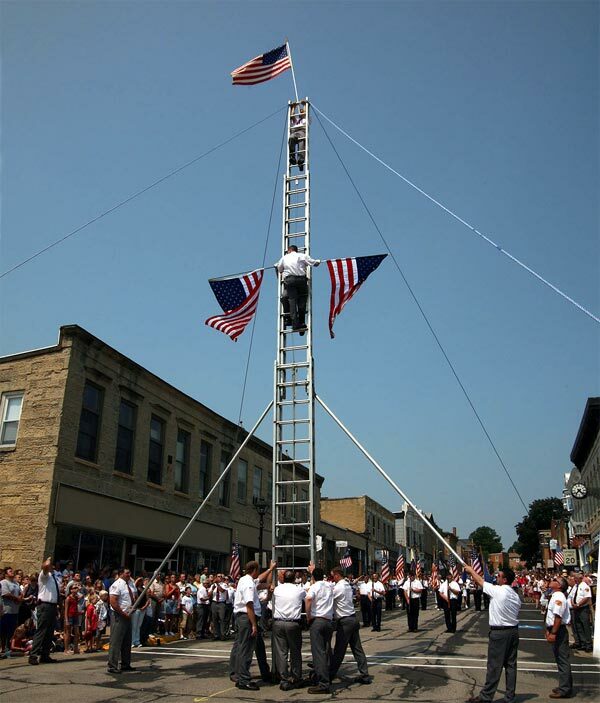 After many, many years the Mineral Point Volunteer Fire Department retired its 4th of July mid-parade tradition of raising the tallest ladder, climbing up and unfurling the flag. 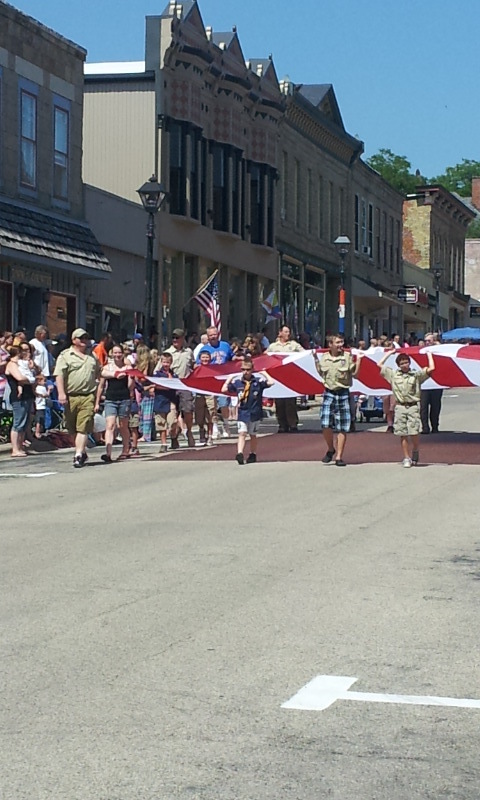 Seemingly in its place, local scouts celebrated the day by carrying a gigantic flag down High Street. Near the same spot where the ladder raising occurred, the scouts stopped marching and solemnly paused. The banner waved in the breeze as the High School Band played The Star Spangled Banner. 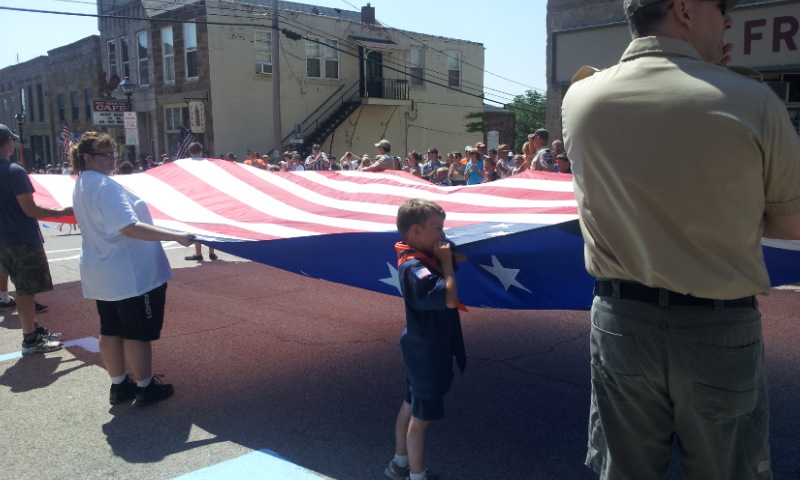 It was a stirring moment and a welcome new tradition to the Mineral Point 4th of July Parade. This entry was posted in Traditions and tagged 4th of July, Mineral Point Fire Department, Mineral Point Ladder Tradition, Mineral Point WIsconsin. Bookmark the permalink. it’s a nice concept but I am old school and I always looked forward to the ladder climb. Wonder why they decided not to continue that special part of the parade. You know others have adopted the ladder climb because of Mineral Points Fire Dept. I guess old traditions must be laid to rest.